BASEL, Switzerland – Audioconsulting AG recently deployed a Studer Vista X digital console from HARMAN Professional Solutions at Raiffeisen Bank’s Dialogue Plus event that brought together 10,000 Raiffeisen employees and board members in a 32,000-square-meter hall. 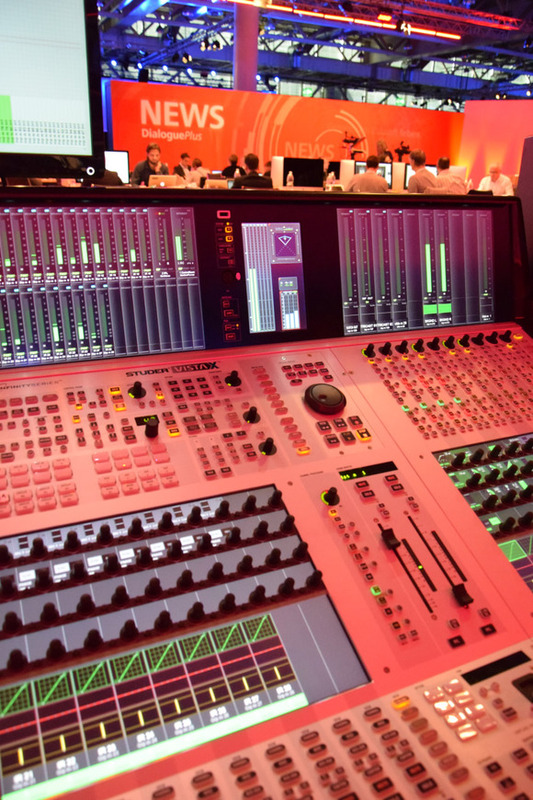 The Studer Vista X enabled engineers to efficiently deliver clear audio in several different languages to multiple zones throughout the event space. Raiffeisen Bank was able to effectively communicate with a diverse group of attendees, making the large-scale corporate event a success. Held at the Messe Basel in Switzerland, Raiffeisen Bank’s Dialogue Plus featured a total of 28 meeting zones, each hosting up to 400 attendees, where organizers held workshops on many different topics. Martin Reich of Audioconsulting AG planned a distributed audio network, using the Studer Vista X as the central routing and mixing system. 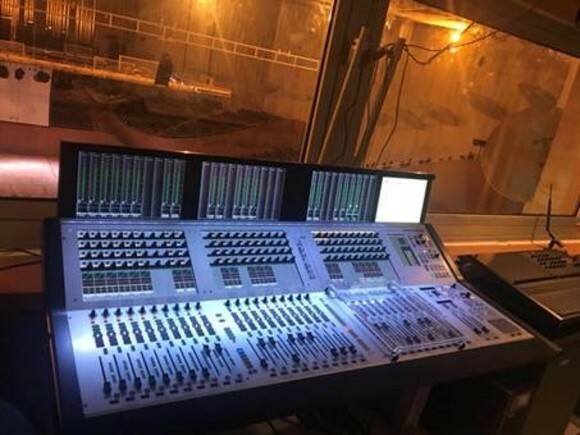 For this, Reich deployed a comprehensive communications solution built on Riedel Communications’ MediorNet real-time media network, RockNet audio network and Artist digital matrix intercom system. Reich took advantage of Studer’s VistaMix function, which enabled him to automatically create clean live mixes for each zone, resulting in significant manpower savings and broadcast-grade performance. In turn, Raiffeisen Bank was able to effectively communicate with its diverse group of attendees, making the large-scale corporate event a success. While each zone at the event held its own workshops, occasional news broadcasts were fed to each zone’s discrete screens and PA systems. These broadcasts were produced live in a designated newsroom and featured speeches from the Raiffeisen management board as well as conversations with participants and guests. Each attendee used infrared earphones for translation of the broadcasts into his/her preferred language. With 66 total microphones in use and 29 discrete zones to manage, the risk of background noise and microphone spill was considerable. A common problem in such scenarios is the audio engineer needing to manually adjust all the faders of the console in real time, leaving the microphones of talking participants open, while trying to close the microphones of silent participants to reduce spill and background noise. If the engineer does not react quickly enough, he or she can miss the audible fade-ins of people who begin speaking unexpectedly, while the changes in fader positions can lead to unwelcomed changes of the total ambience and noise level in the mix. The Studer VistaMix technology is capable of mimicking the action of the engineer, but at a much greater speed. It increases gain for “talking” microphones and reduces gain for all others, keeping the amount of total gain constant, thus creating a clean live mix. Fifty-six wireless microphones from the 28 zones and 10 microphones from the newsroom were the main sources feeding the Vista X digital console. As the zones were distributed throughout the hall, their microphone signals were fed through a Riedel MediorNet signal transport network to cover the long distances to the newsroom, where the Studer Vista X was located. RF microphone feeds were fed over a Dante™ network and were tunneled over IP trunks of the MediorNet system. In addition, 30 media servers fed the stages, newsroom and translation cabins. The PA and infrared system feeds from the Vista X also used a MediorNet signal transport system to reach the stages and were extracted with Riedel RockNet devices. All communications were done through Riedel ARTIST digital matrix intercoms, which were also interfacing with the Vista X. The system featured redundant Studer Infinity Core processors with two Studer D23m frames, feeding MediorNet with redundant Studer A-Link streams, providing a capacity of 384 channels. All I/O signals were using the A-Link interface, with the exception of the RF microphones that were connected through two Dante cards. 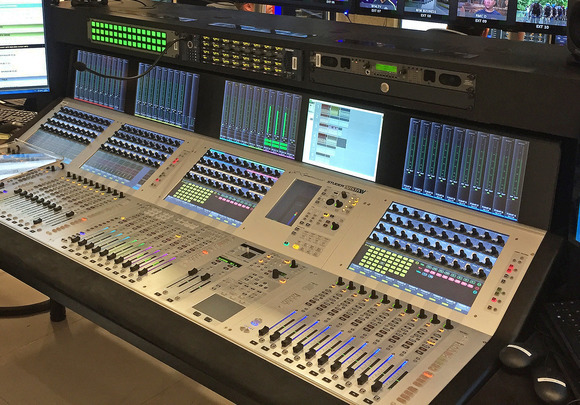 Approximately 120 input channels were used with the Vista X, with 30 groups for the stages’ infrared feeds, 30 aux groups for the stages’ PA feeds, one master group for the newsroom program and eight aux groups for ear and monitor feeds. 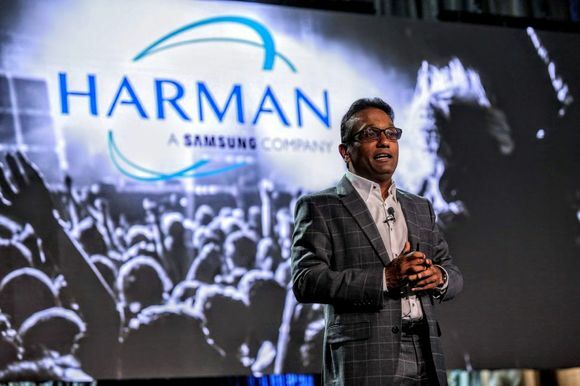 HARMAN Professional Solutions is highly experienced at working with specialist providers like Audioconsulting AG to deliver the technologies that can realize their vision. With its new customer-centric organizational model, the division offers vertical market expertise and complete system solutions to meet customers’ specific needs.